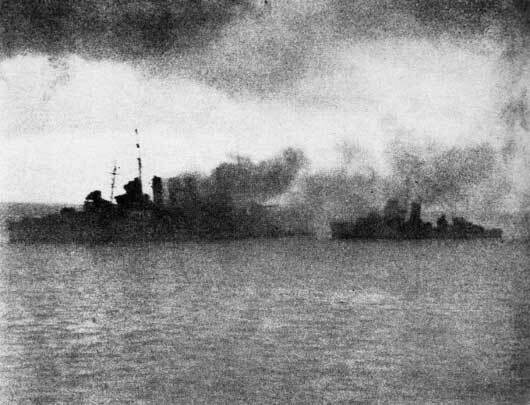 The Battle of Savo Island was naval action fought in the early hours of 9 August 1942 in which the Japanese surprised US and Australian warships sinking four allied cruisers including HMAS Canberra. On 7 August 1942, the US Marine 1st Division landed on the Japanese held islands of Guadalcanal and Tulagi in the Solomons. The Japanese had nearly completed construction of a major airfield, named Henderson airfield by the Americans, which if operational would have threatened lines of communications between the United States and Australia. 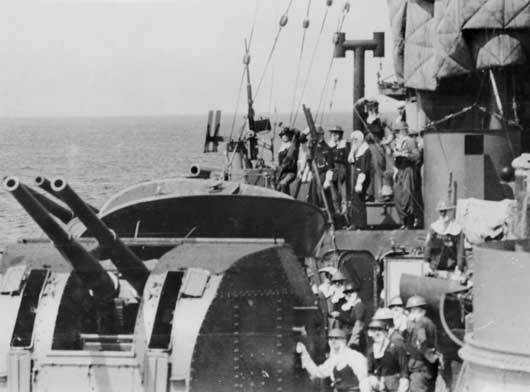 Eight cruisers including the HMAS Australia, HMAS Canberra and HMAS Hobart, with eight destroyers commanded by British Rear Admiral Victor Crutchley VC protected the transports and troops ashore. A Japanese force of seven cruisers and one destroyer, commanded by Vice Admiral Gunichi Mikawa sailed down New Georgia Sound, known as “the Slot” to attack the allied fleet. The Japanese task force was spotted by reconnaissance aircraft but poor reporting and message handling delays obscured the significance of the intelligence. Early on 9 August, the Japanese cruisers entered the channel between Savo Island and Guadalcanal. 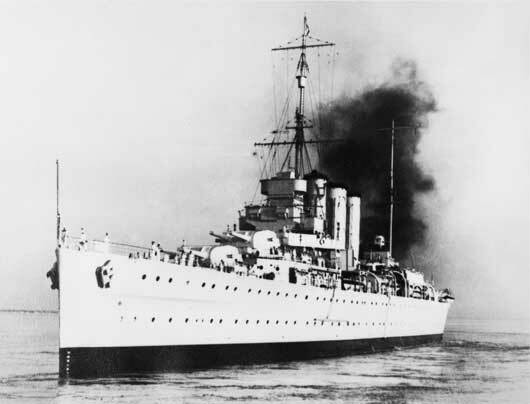 The Japanese opened fire at 1.43 am and ceased fire about 30 minutes later by which time HMAS Canberra and three American cruisers the Vincennes, Astoria and Quincy had been fatally damaged. The Japanese suffered little damage, although an American submarine sunk the heavy cruiser Koko off New Ireland the following day. Savo Island was the first Japanese reaction to the Marine landing on Guadalcanal. 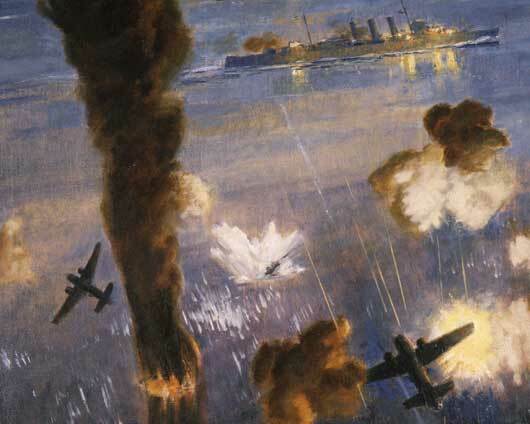 For the next four months the Japanese air, land and naval forces fought to retake the island. In December the Japanese decided to evacuate its troops from Guadalcanal and the evacuation was completed by February 1943. The Kent class cruiser HMAS Canberra (AWM 016664). Dennis Adams, "HMAS Australia in action, Guadalcanal, 8 August 1942" (AWM ART22189). 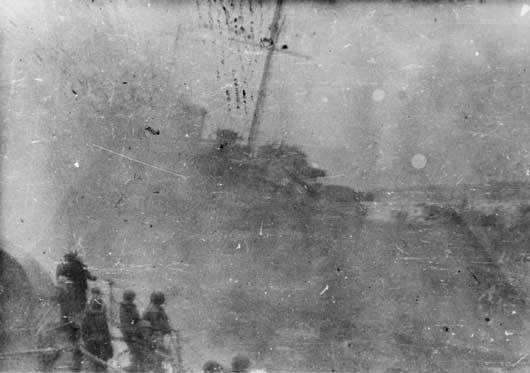 HMAS Canberra on fire, with a US destroyer standing by, after torpedo and gunfire attacks by Japanese planes (AWM P02018.132). 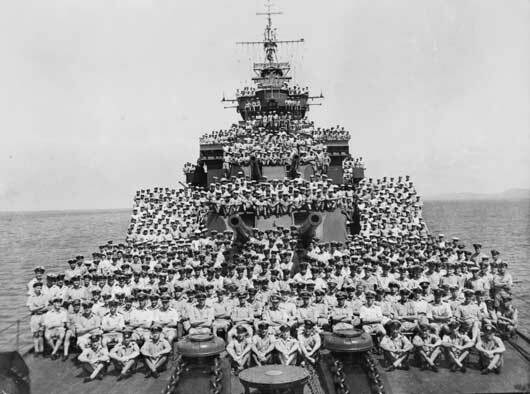 Group portrait of the ship's company of the County class heavy cruiser, HMAS Canberra (AWM P04992.001). Port bow view of HMAS Canberra sinking, taken from one of the US Navy destroyers in the Battle of Savo Island (AWM P04992.012). 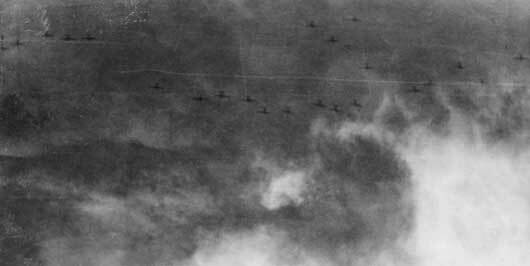 24 Japanese high level bombers, silhouetted against heavy cloud, preparing to unload over a convoy of Allied vessels during the Battle of Savo Island (AWM P05292.008). Anti-aircraft gun crews wearing flash protection clothing on board HMAS Canberra, on the lookout for high level bombers (AWM P05292.014). 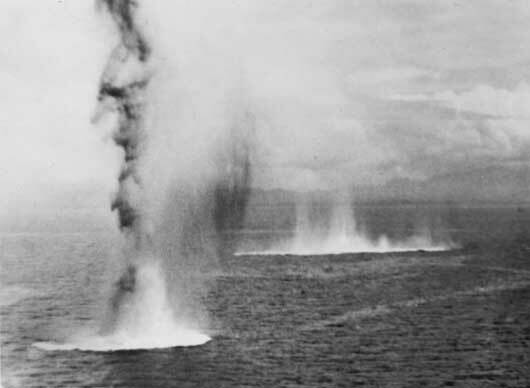 Bombs hitting the water off the island of Guadalcanal, during the Battle of Savo Island (AWM P05292.030).